Bridget Regan plays Rose on the CW series Jane The Virgin. Jane is worried when her career good fortune seems to be linked with Rogelio on Chapter 12 of Jane the Virgin. You cannot have "The Passions of Santos" without Santos. That is just "Passions" and that show failed. Permalink: That is just "Passions" and that show failed. Humble. Oh, well yes excellent, Jane. That'll be easy considering my immense gifts, I am one of the most humble men in the world. Permalink: I am one of the most humble men in the world. Jane the Virgin Round Table: Sin Rostro, Unmasked! 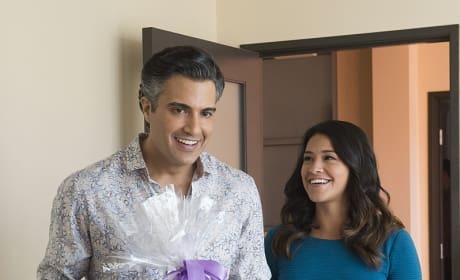 Jane the Virgin Season 1 Episode 12 Review: Who is Sin Rostro?